The most difficult part of an individual’s job career is to leave the organization at retirement age. This is because apart from professional relationship, we also develop a personal and emotional bond with our team members. The retiree will be pleased to receive such a letter and may show it to his or her family and friends. Any employee who spends his whole life in any organization feels very lonely when he leaves the office permanently due to retirement. When writing this kind of letter, it is better to consider making it short and ensure to mention the intent of the letter on the first line. This day of retirement is one of the precious moments in the whole world that the employee would cherish because this is the only day when the employee experiences the love and respect of his colleagues. It is a nice gesture to send or deliver a retirement appreciation letter to an employee, especially one who has worked with the company for many years. This day of retirement is one of the most precious moments in the whole world that the employee would cherish because this is the only day when the employee experiences the love and respect of his colleagues. These retirement recognition letters acknowledge what your coworker has meant to you and her contributions to your workplace. 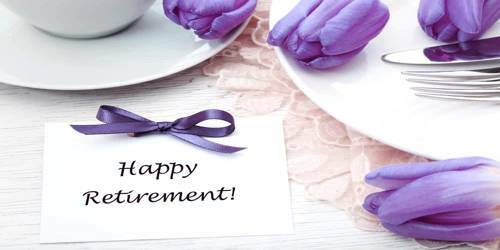 Thus, as mentioned above, the objective of writing a retirement appreciation letter is to appreciate the person who is retiring for all his good deeds and his contribution in taking the organization to greater heights of success. By doing so, we are making him feel special. This type of letter is usually handed to the retiree in person. Firstly, it is vital to write the appreciation letter with respect and sincerity, as the person retiring is one of the senior most employees of the organization. It is worthwhile to mention his contributions and achievements in the letter. The tone of the letter should carry warmth and leave a personal touch, though being formal. It is very tough for me to write this letter on your retirement. You have served (Name of the organization) for (Time period) years with sheer dedication and taken it to greater heights. Your absence will be felt immensely. (Describe in your own words). It is worthwhile to mention that you are an excellent team player and handled every situation with a positive attitude and maintained the discipline of the company.